Since the several political and legal reforms in 2011, Myanmar has been attracting many foreign investors because of its abundant natural resources and inexpensive labour. In 2013, Naypyidaw hosted some famous global events such as the South East Asian Games and the World Economic Forum, a significant financial and political conference. The government also spent a huge budget in the city’s modernised and grand infrastructures which can be noticed almost anywhere. It is believed that these architectures were built in preparation to Naypyidaw’s planned technological advances and to attract foreign investors that’ll boost the local economic growth. On March 2013, the government passed the Minimum Wage Law which implements equal payment, compensation and treatment to all employees regardless of their gender. There is a National Committee that is consisting of representatives from the government, labour organisations and employers which will determine the amount of the minimum wage. The minimum average salary for local employees is 56000 Kyat or €60 per month. Specific amount still varies from sector to sector and once decided, all employers are required by law to cascade the salary update to their employees. Expats who are planning to work in Naypyidaw should secure first a Business Visa and a letter of introduction from their future employer. Your Business Visa is only valid for 70 days so if your job will require a longer stay, you must apply for a Stay Permit and have your company sponsor/request it for you. These types of visas are also applicable to your spouse who plans to seek employment in Naypyidaw. It is also crucial that you have adequate knowledge of the local labour laws to exercise your rights as a foreign worker in Naypyidaw. 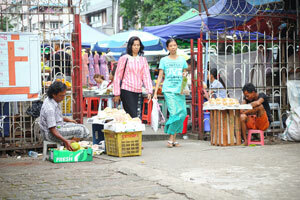 The regular working hours in Myanmar is 8 hours per day and six days a week (44 hours/week). Blue collar workers can render overtime for a maximum of 12 hours per week while white collar workers or those who work in offices and shops are allowed for up to 16 hours/week. According to the Ministry of Labour, employees are eligible yearly to ten days of earned leave, six days of casual leave, thirty days of medical leave and fourteen paid public holidays. Medical and casual leaves are still granted on per-needs basis whereas employees are required to present a valid medical certificate for the medical leave. Foreign nationals who are in Naypyidaw or Myanmar for more than 183 days are required by law to submit their income tax returns. All collected revenues to individuals are being regulated by the Internal Revenue Department of the Ministry of Finance. As of 2016, the progressive rate of earnings of foreign workers and resident national are from 1% to 25%. Finding the best type of work for you in Naypyidaw can now be done online. It is a very convenient way of job hunting since you can browse through hundreds of adverts and send your curriculum vitae thru the internet. Some of the most used websites are Ads.com Myanmar, Work.com Myanmar and JobsDB Myanmar. It is important that you secure an employment first before relocating since holders of tourist visas are prohibited from getting a job in Naypyidaw. The largest job opportunities in Naypyidaw are for construction workers, architects, and engineers because of the city’s ongoing development. There are also many hotels that you can apply to. However, the hotel industry is experiencing a recent struggle because of the small number of tourists visiting Naypyidaw and so much availability. Other employment opportunities are still unavailable inside the capital since most large business and companies are still located in Yangon. Putting up a business in Naypyidaw is considered to be time-consuming and is still under many restrictions. A handful of industries such as manufacturing, production and commercial activities are seldom allowed for foreigners and even requires joint venture with a local company. Also, the Hotel Zone and Shopping district in Naypyidaw have more than enough supply and very low demand that’s why there are limited opportunities for expats who want start a business inside the capital. Male to female contact is avoided in public. Only shake a female colleague’s hand if it is offered to you. Almost every business person and worker have their name cards. Make sure to give it a quick read once they hand it to you instead of tucking it away immediately. Though many employees and bosses speak English, it is still the best that you learn basic greetings in the Burmese language. Keep in mind that no deal is binding in Myanmar unless there is a contract signed by both the employer and employee. In this case, all companies are required by the Ministry of Labour to issue a contract within the first 30 days of hiring a worker. Most offices and companies are dominated by men. You should also stand up whenever a high-ranking senior colleague enters the room because it’s a local business tradition of showing respect. Overall, working in Naypyidaw is an exciting experience since you will be among other foreign nationals and local citizens. Aside from learning the culture of Myanmar, you will also be able to build friendships with other expats from different parts of the globe.